Each staff member has their own calendar url, you will need to repeat the process for each staff member's schedule you wish to see in your calendar. Note: Select and copy the entire URL for the relevant staff member. 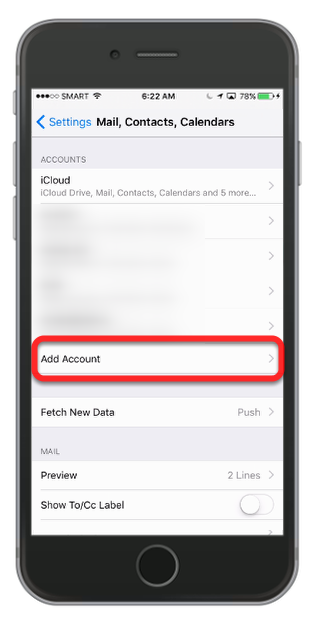 You will need this URL on your iPhone/iPad - so you will need to do this either on the device itself, or if you are setting up a staff members device, email/SMS them the URL so they will receive it on the required device. 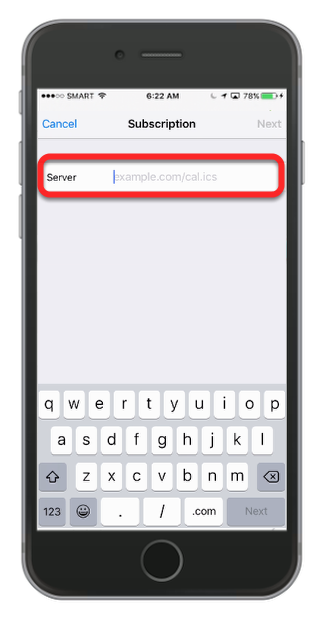 Tap twice in the server field to bring up the option to Paste. 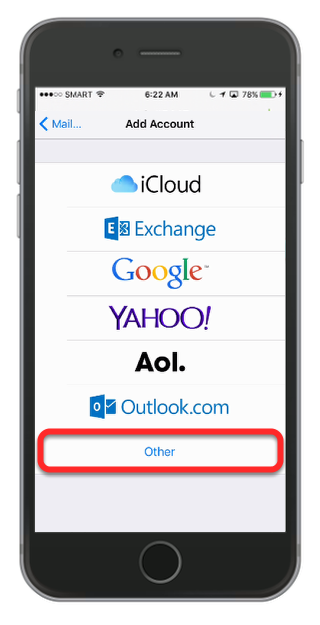 Then tap paste to add the URL you copied from the email/sms earlier. Tap Next to finish. Click Save and that's it. 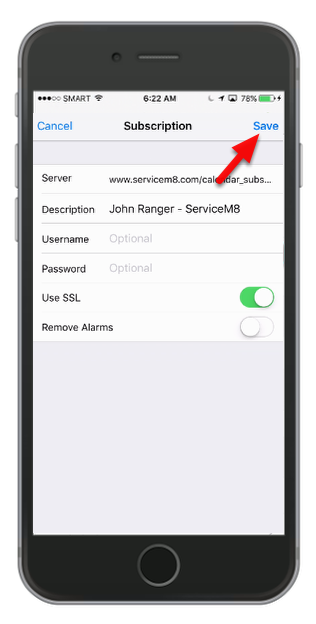 You should see your ServiceM8 schedule appear in your calendar in the next few minutes, repeat the process for each staff member's schedule you would like to see. NOTE: You are not able to make changes to your ServiceM8 Schedule, only view it. To make changes you must use the ServiceM8 Dispatch Board, or the iPhone/iPad app. 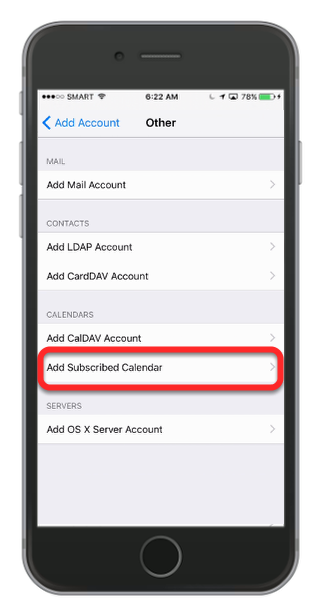 Also be careful of recent changes, as while the iPhone/iPads calendar is kept in sync with your ServiceM8 Schedule, it's not real-time - so recent scheduling changes may not be reflected. 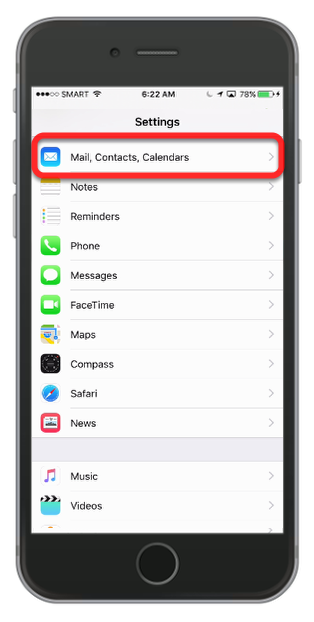 How can I get my clients to appear in my iPhone contacts automatically?